Galerie Ron Mandos has the pleasure to announce STREET CALLED STRAIGHT, the first solo exhibition of Sebastiaan Bremer (1970) with the gallery. Bremer spent part of his youth in a house across the canal from where Galerie Ron Mandos is now situated. Having left for New York over 20 years ago, he now returns to his roots with his first solo exhibition in the Netherlands: STREET CALLED STRAIGHT. Upon leaving his homeland one item the artist took with him was a Dutch photography book entitled ‘Bloemen’. This publication was made during the years of German occupation and constitutes an expression of national pride through 3 things: flower cultivation, graphic design and printing. Colourful yet wistful, in some way perhaps portraying the oppression of this period, Bremer has for a long time wanted to incorporate these images in his work. Now upon his return, the time is right. 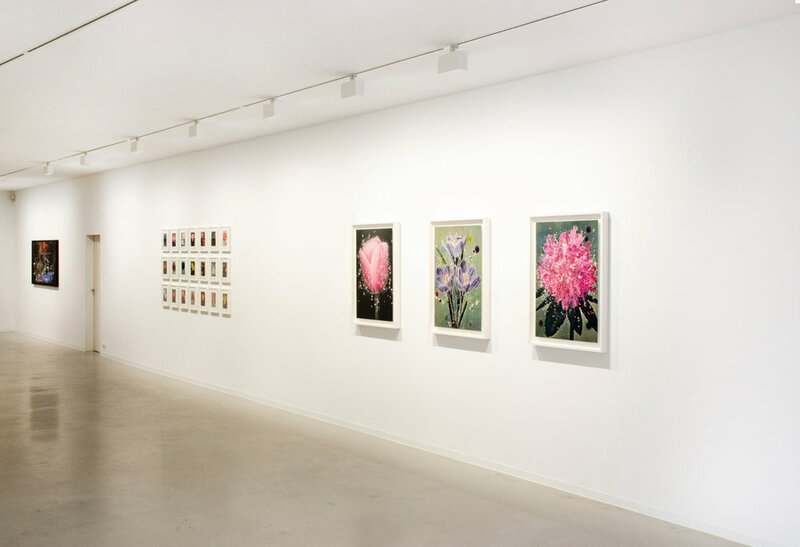 In this body of work also entitled ‘Bloemen’, Bremer makes small and considered interventions in the original images. Small dots of carefully matched coloured acrylic are applied creating an overall balanced composition. The works obtain a galactic association, with the dots of paint resembling gravitational lenses in space, referring to the phenomenon of seeing spatial matter in different moments of time in one view. Next to this series of works, Bremer will exhibit two larger drawings entitled ‘Waterfall’ and ‘The Road to Damascus’. 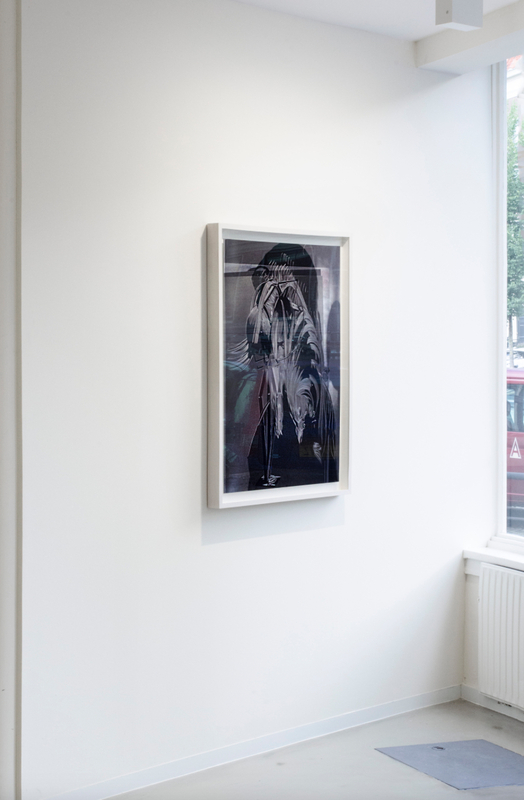 These works were made drawing and scratching onto exposed and therefore black, photographic paper. Only very subtle leaks of light are perceptible in the paper used. In another exhibited series entitled ‘Nature Morte, Nu et Tete’, Bremer uses photographs taken in his studio that resemble Dutch golden age still-lifes. These photographs are combined with drawn pictoral motifs (a torso by Brassai, a study for a skull by Picasso and a vase by Matisse), which are cut into and intersect each other in dynamic ways. The title STREET CALLED STRAIGHT refers to the notion of epiphany. It references directly the story of Saul who is confronted by god on the road to Damascus on his way to persecute the Christians. Saul subsequently converts to Christianity and becomes the apostle Paul. STREET CALLED STRAIGHT is also Bremer’s own insight gained over the years in his practice. Upon his return to Amsterdam, a loop is closed and a new perspective achieved. 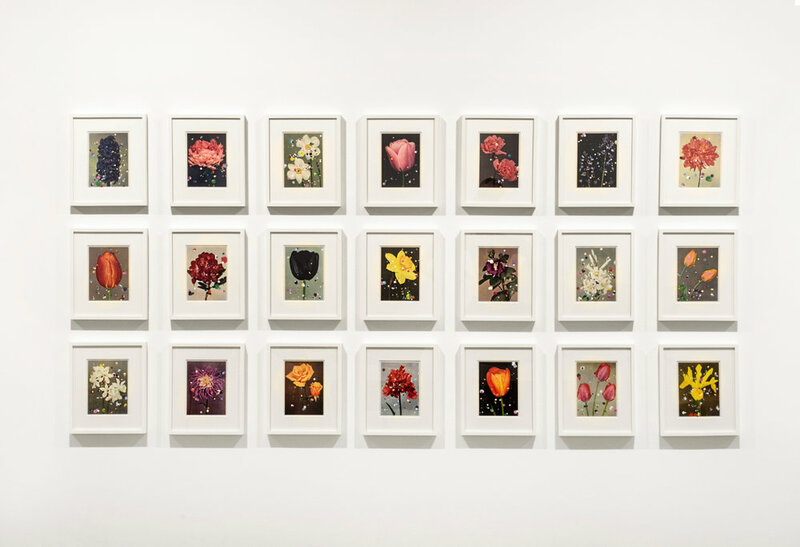 Bremer’s work is part of several important collections worldwide, including the Victoria & Albert Museum, London; Museum of Modern Art, New York; Los Angeles County Museum of Art; The Zabludowicz Trust, London; The AKZO Nobel collection, The Netherlands and more. Sebastiaan Bremer’s artwork has been exhibited at the Tate Modern, London; the Brooklyn Museum of Art; The Aldrich Museum, Connecticut; MoMA PS1, New York; and at Het Gemeentemuseum, The Hague.